I didn't even know there was such a thing as a trampoline fitness class! Thanks for broadening my horizons!! And for your honest review of it. #wowlinkup. Thanks Lara! Glad it was useful to you! 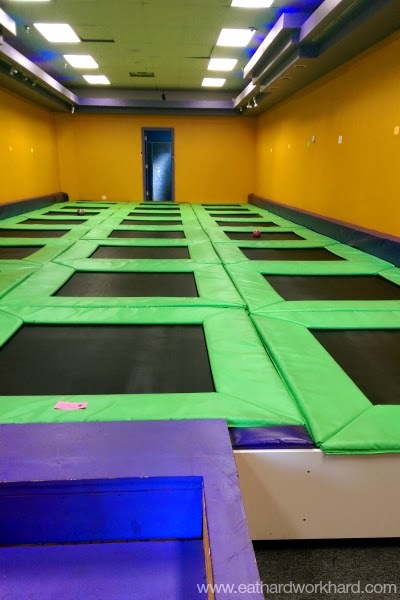 The room looks fun - I've never heard of trampoline classes before. Too bad there was not much structure for the class, looking fwd to hearing about other classes down the road. Yea it totally reminded me of something I would have dreamed about as a kid lol. I'll keep you posted! There is a place like this near us mostly marketed towards kids. One of the times my kids went, I jumped on and it was hard to jump around for an hour and very sweaty. I kept thinking I was going to land funny and sprain my ankle or something. I think with instruction it could be a fun workout once in a while. Ooh it would definitely be fun to go as a family. I definitely think I'll give it another try. It's just such a cool idea! I would love a trampoline fitness class. This would make me want to do some gymnastics moves (which probably not a good idea for me at my age anymore, haha). So interesting! I'd heard of these and was interested in hearing what it was like. It's strange that it was mostly do your own thing since that kind of defeats the purpose of a group fitness class. Yea it was really weird. When we were doing the second round of free style jumping there was a lady doing kettlebell squats. Super confusing lol. Oh well, maybe it'll be better next time. 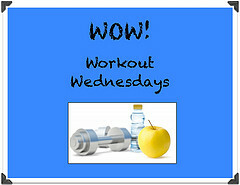 I just hopped by from #wowlinkup Workout Wednesdays to check out your review of Aerobic Fitness. I have taken a few rebounding group exercise classes at my gym and I enjoyed them. The instructor led the class through an hour of non-stop moves that keep us working hard, energized and challenged. It sounds like your trampoline workout instructor could make some improvements to maximize the experience. Ooh yea I've heard really great things about rebounding. I like the individual trampolines and the fact that it's a set routine to music. Maybe I'll be able to find a class one day. Thanks for stopping by! 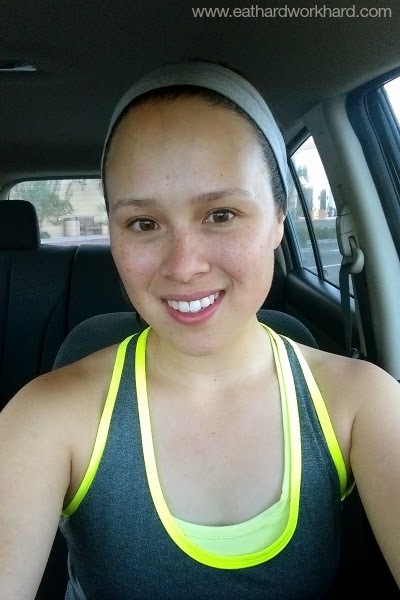 I just hopped by from #wowlinkup Workout Wednesdays! It sounds like your trampoline class was a bit of a disappointment. I like the trampoline class at my gym. They call it rebounding and it is a full hour of vigorous moves to music. A great workout! Oh my GOD that's a fun gym! I wish we had something like that here. I would die to work there and it seems like so much fun. Yea definitely is a great low-impact way to get in cardio! The price is definitely one thing that makes me want to go back to see if the other instructors are better! I've seen these trampoline places advertised but can't imagine classes there. The lack of true instruction makes it sound pretty boring. I'd recommend checking a place out in your area if it's affordable. 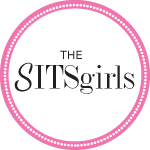 It's such a cool idea and I definitely want to see if other instructors make it better. I love trampolines and this looks like it would be a lot of fun! But I agree with you, if the intensity is lacking I'd prefer a circuit workout or something a little tougher. How cool though to have a fitness class with trampolines! And good for you that you tried something new. If you do try the circuit workout, definitely write another review. Would be curious to hear how it goes. Have a great weekend! Thanks Bre! I love trying new things--helps with my workout ADD :) I think I'll definitely go back and try to get another instructor. I'll keep you posted! haha I am soo uncreative, I would have just watched everyone else in this class! Yea that was definitely my problem. I think if I was more creative and adventurous I probably would have had more fun lol. AH!!! Those trampolines look WAYYYYY to much fun! :) I would be on there for hours!! Haha yea I could definitely feel my heart rate up from jumping around, especially during the first jumping part when I was following along with the instructor and when we were running around the trampolines. Definitely could have been better though! Yea I guess it's easy to expect your equipment to make the class when your equipment is a giant trampoline room! I definitely recommend giving it a go though! My name is Susana Barker, i am a Housewife. I like to workout with best fun and relax. So i am finding it in Google Search and i found a lot of sites about Best Trampoline Reviews There are so helpful for my life. Thank for this article. I will share this to all my friends now! 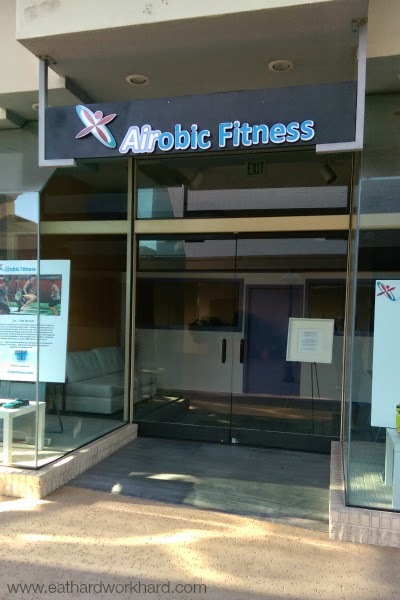 Aerobic is the best way to stay fit and active in our life, apart from normal cardio workout and gym. A strict and discipline lifestyle will bring good positive changes in our personality and therefore we should follow a aerobic plan to stay fit and active in life.